LIBRARIES – A Necessary Stop On Any geezerTrip! If you travel, you need to stop at a library wherever you are. Libraries serve senior travelers. This is written from the Main Branch of the Smithtown, NY Public Library. Yesterday, I was at the Huntington Station, NY Public Library. There is free WiFi. You can sit for hours and write about your trip without being disturbed. And, you can do it from 10 in the morning to 9 at night; and, frequently on Saturdays and Sundays. There are also computers and copying machines. If you have your own i-pad you can access the library WiFi. There are magazines and comfortable chairs. There are toilets, drinking fountains and parking. There is local information so you can see what is happening where you are. At Smithtown Library, pick up a copy of the monthly “Inside Your Library.” For example, in April 2015, I can attend an Estate Planning Seminar, a Seminar on “Affordable Home Buying on Long Island,” yoga, tax prep, numerous book discussion groups, movies, history lectures, a writer’s group, exhibits, and cooking classes. The Cinco de Mayo, South of the Border Cooking class, is today for $5.00 and you get to sample the results. All the libraries that I have been in have used book sales. Here you can get paperbacks for 50 cents and hardbound books for $1.00. There are also magazines and CD’s. When traveling, you can pick up a half-dozen books, read them and donate them when you are finished. Most libraries also have genealogical information and ties to the local historical societies. If you want to know who you are and where you came from, check out the library. In Albuquerque Public Library Main Branch, the entire second floor is devoted to genealogy, complete with thousands of books and a dozen computers that you can use for free. You can even access Ancestory.com for free within the library. And, the librarians who work the second floor are knowledgeable on researching your ancestors. An added plus is that members of the NM Genealogical Society and The Albuquerque Genealogy Society hang out there and love to help a newcomer find a person in their past. If you have grandchildren, take a look at what libraries offer for kids. Story telling, classes, etc. If you are going to entertain a five-year old, the library is a great place. If you travel, and even if you don’t, a library is worth a visit; especially if you want to find out about your past or if you are looking for interesting places to visit in your present. Finally, old people have problems. They are frequently afraid to seek advice. No one wants to admit to driving problems or the possibility of cancer. A library, especially an out-of-town one, is a good place to check out your problem anonymously. You might attend a seminar on cancer; or hearing problems; or financial planning. Find out. Ask the librarian for books/information on “your problem,” and do a little research where no one knows you. URGENT CARE – A Health Resource For Traveling Seniors! Where do you go when you are traveling and something goes wrong with your old body. Is it serious? Does your insurance cover you? Can you let it go until you get home? What if you don’t get help? We have used urgent care in Smithtown, NY and Tucson, AZ; places where we didn’t have physicians. We were in urgent care for one hour and 15 minutes which included check-in, filling out forms, having vitals taken, seeing a nurse practitioner, and a board-certified Emergency Room Physician. He examined my wife who had a rash on her face and a severe sore throat, diagnosed the problems, tested for strep, and prescribed the necessary medications. Everyone was pleasant, seemed concerned about our problems, provided us with a lot of information and fixed two problems that had been troubling her for a while. The strep test was negative. The doctor prescribed three medications for the face rash, but said to hold off on one for two weeks, as it had a high co-pay. We received a printout of the diagnosis and treatment for our information and for her primary care physician in Albuquerque. The place was clean, neat and professional. They did the strep test there. We were never kept waiting and felt good about the place and the people. They all listened to us. A few years ago, I hit my head on a cabinet door that I was painting in Tucson. There was a bleeding gash in my forehead. I went to CVS pharmacy Minute Clinic, saw a nurse, was examined, told it wasn’t a serious problem and provided with an over the counter antiseptic. I went home and had no problems. I had been worried, with all the blood, but got the reassurance and treatment quickly and professionally. In both cases, we were examined and treated by professionals. The treatments were quick, inexpensive and effective. My head is still ok and my wife’s rash which she had had for several weeks has cleared up. No problems. The point is that at a certain age, a lot more things go wrong with your body. You don’t know how serious they are. 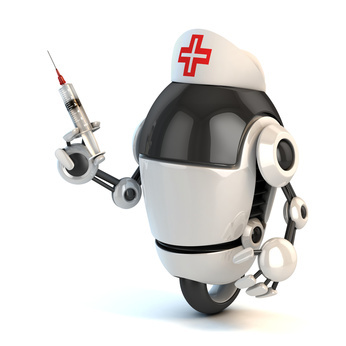 You know something is going to kill you in the near future, but you just want to head it off for today; and, you don’t want to catch something new at the hospital in the meantime. If it is serious, you go to the emergency room or dial 911; but, for most things, where you primarily need reassurance that today is not “the day,” you just need someone to check you out; fix you; call an ambulance; call a mortician; or, tell you to go home. That is what you get at urgent care. I hate to sit in emergency rooms; have done it many times with parents, kids and spouses. It takes a long time, it is expensive even if medicare and/or insurance is paying for it; people feel rushed and they rightly take the life threatening cases first. They practice triage, and usually for old people it is just some part wearing out that you don’t think should wear out. Mostly, it is not life threatening. That puts you at the bottom of the list. What you really need is reassurance. Did you ever try to get an appointment with your private care physician; not only might it take a week or two, but when you get there, you have to wait. Plus, many of them are shying away from medicare because of cost cutting. You should try urgent care; they are everywhere. And worth it even if you have to pay out-of-pocket. And, I wonder about where I fit in the triage scheme being over 70??? Atlantic $2168 is the average cost of an emergency room visit. Business Insider The average wait-time can be over four hours. Minute Clinic; where I wend for the cut on my forehead. 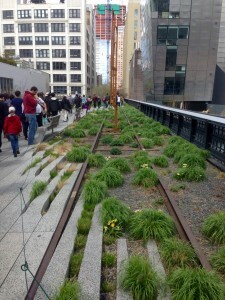 The High Line is an urban path that used to be an elevated train track. It runs from Gansevoort Street about 1;45 miles to 34th street. Access is by stairs and elevators. The 34th street end is about three blocks from Penn Station, so you can take a train or subway there and walk over. The four phases were opened in 2009, 2011, 2014 and 2015. It is similar to the rails-to-trails program and other programs that have created unusual walking paths. This one is smack, dab in Manhattan and snakes through a valley of skyscrapers, with 40 added in the last 10 years and more under construction. Walking it you are surrounded by windows looking out on the High Line and cranes rigging new construction. You can walk, but not bike, the distance. There are over 210 species of plants; and, of course, old train tracks. There are places to sit, and ares that allow for a picnic or party for up to 20 of your friends. In addition, there are numerous events planned for the summer. Around each stair/elevator, restaurants, and bars are springing up. I did not see any toilets; only, numerous signs on restaurants that restrooms were for customers only. The High Line is not as wide as I expected; but, it is a use of old second story train tracks.How wide can two elevated train tracks that go through downtown Manhattan be? It is a great idea and should be, and has been, replicated in many places. It is a tourist destination only if you want to see one of the performing groups, if you want to see what could be done in your backyard, or if you are curious. Such paths provide old people a chance to get outside, to walk, to meet and socialize with friends and to interact with their environment. 1. Chess/checker/etc. boards so that old people could play chess/checkers/cards/ etc. like they do in Europe and small town mid-western town squares. 4, Maybe, but it would be tricky, ice cream carts, coffee carts, etc. on the path. Perhaps they could use the second-hand carts that airlines used to use before they stopped providing food/drinks/etc. on flights. 5. In the open space, early morning tai chi as in San Francisco China Town. I checked out New Mexico on Trailink and discovered that the 16 mile long bike/walking path, 100 yards from my home was listed, in addition to dozens of others that I had not heard about. Wherever you go find an interesting walking path. Walking is what a “good” old age is all about. Finances for seniors can be difficult. This is obvious both, from looking into my financial mirror and from the number of articles about seniors being taken advantage of. Who do you trust? Look in the mirror; that is not the person to trust after a certain age. How do you pick a financial planner? Do you need one? Who has your best interests at heart? Today’s New York Times describes some of the problems. The author suggests a team, a trusted relative, etc. The geezer thinks you need a mentor. Wikipedia defines a mentor as someone more experienced who advises someone less experienced. I suggest that you find a younger mentor; who, can advise you as you lose your experience and your ability to make “rational” decisions. At some stage in life, you need a mentor. The best is a spouse or a child. After that, a professional that you can trust; a lawyer or an accountant; hopefully one that will outlive you and still be competent. This is someone who will monitor you and advise you, or your relatives, when you start to drift financially, medically, or mentally. Someone who can take action if necessary and who can shield you from yourself. You are your own worst enemy; like it or not. You still think you know everything; and, in reality you may be a joke. This said, you should make it easier for the mentor. Your stocks should be in index funds; you should have one bank account; one credit card; and, all ordinary bills should be paid automatically. Your house should be paid off. There should be lists of information; financial and medical. The mentor should receive copies of accounts. You should have a credit freeze in place and your debit card should have a daily limit. There should be a health care power of attorney; and, perhaps a regular power of attorney naming a spouse, child or trusted mentor. Most importantly, you should reduce your life to basics. You should live simply without a lot of clutter. If you live alone, someone should check on you regularly and you should have some sort of alarm button that you wear to press in case of trouble. You should know how to use whatever you get. Your home should be age-proofed. Nothing worse than falling when you get out of the bath and are not wearing your alarm button. Get some grab bars. Think of neighbors coming in and finding you naked on the bathroom floor. The bottom line is that old age brings new worries. You need to minimize these. You need a mentor more than you did when you were young and starting out. Go for it. A DOZEN VACATION FOOD IDEAS FOR SENIORS! You are traveling; and, of course you have to eat. Mostly it is too expensive and probably not good for you; but, at your age who cares? I am interested in places and ideas for eating well but frugally. This means getting the most for your money, having a new experience and maybe meeting new people. And, as always, you may have a story to tell. No one is interested if you ate at a chain; however, going to a church supper in a small NM town will give you a story to tell. Share a plate. Old people eat less. Most places will let you do it, though some charge an extra $3 or so. Always split a desert. 1. Eat at Whole Foods or other gourmet grocery store. You get good food in reasonable quantities and can eat it in the store or take it with you. You will also feel good since it is organic, humanly raised and free of additives. Your grandchildren will love it. 2. Try a university. Parking may be a problem; however, they usually have salad bars and other interesting menu items. Sometimes you can even get a beer or glass of wine. 3. Hospitals have gotten better, at least in their cafeterias. I can remember when it was all fried, but now they have salad bars and other items that reflect their “dedication” to health. Don’t stay too long as you might catch something; they are places to avoid except for a quick meal. 4. Frequently, you can visit an assisted living facility and in exchange for listening to the sales pitch, get a free meal. This would be my last resort in most cases, having seen some of the food. 5. Some chains have reasonably priced healthy food. If you see a Chipotle or a Subway, stop. Two of you can share a burrito or a 12 in. sub, for about $6 to $8. 6. Picnic. Stop at a store and buy what you need for a picnic. Remember that left-overs may be a problem. 7. Frequent bed and breakfasts. Have a big breakfast, an apple for lunch, and a nice dinner with a glass of wine. 8. Service clubs, if you are a member. Watch for signs giving the day and place as you enter a town; or, go on-line. 9. If you belong to a private club, golf club, health club, or tennis club, check them out for reciprocity. Usually they can arrange for you to be a guest and use the facilities in another town. There will probably be a small fee. 10. Church suppers are always interesting; especially in small rural towns. 11. Small town events can give you interesting food.Try the Ramp Festival in Cullowhee, NC; or the matanza in Belen, NM. 12. Never forget museums; especially if you are in Europe. Some of the best food I have had has been at museums in Madrid, Vienna and London. The same applies to US museums. At least look at them. Pick up small town papers. Visit your old home towns. Use the internet. Try something new. Check out small town chambers of commerce. Explore. Ten Things Every Old Person Should Be Able To Do! After 70, there are 10 things that you should master. Don’t just say you can do it, practice it until you can teach it. 1. USE Google Maps, with voice commands, on your smart phone. If you drive you need to know where you are going without trying to follow the small print on a map, guessing, or trying to look at the GPS. 2. INVEST in index funds. I am not competent to determine which stocks are best, and probably never was. Index funds are cheap and beat over 70% of mutual fund returns. 3. AUTOMATIC PAYMENTS. Your utilities, mortgage, insurance, etc. should be paid automatically out of your bank account or by credit card, if you are after FF miles. You can’t remember everything. Especially your long-term care insurance – you don’t want that to lapse. You don’t want to incur late fees. Check your bank account frequently to make sure the payments have been made. 4. USE E-MAIl. Everyone does it and you should too. My short-term memory is such, that it is good to have in writing. Make sure you remember your e-mail password; and, have it written down at home. 6. QUICK MEDICAL CARE. You don’t need the emergency room just because you are old; unless you are dying, you will sit there for hours and end up feeling like a fool. Go to CVS Pharmacy, Walgreens, urgent care, or maybe even Wal-Mart. They have triage nurses/caregivers who can either fix you up quickly and cheaply, or call an ambulance, at a fraction of the cost. These are quicker and cheaper than emergency rooms. Have them check your drug list and see if anything looks funny. Old people take too many meds. They are the worst form of addicts and they don’t even realize it. 7. KEEP LISTS. I carry a 3 x 5 Day-timer. Pasted inside the cover is a list of phone numbers, a list of the meds I take, including non-prescription ones, and a list of my kids names, addresses and telephone numbers. Pasted on the cover is a business card with my name, address, telephone number, cell phone number and e-mail address. It is quick and simple. You should also have lists of bank accounts, credit cards, payments, etc. in a fairly secure place so that your kids can find them. Show the list of drugs to you pharmacist every time you go in; and, to your doctor. Remember, as far as meds are concerned, less is more. 8. GO SLOW. If you are old, it seems people want to rush you, especially if it involves a financial decision. There in no need to hurry. You have lived more that 70 years and can afford to slow down; especially if it will benefit you. 9. KNOW THAT YOU ARE OLD. Old age is about changes. Don’t fight them, consider them problems to be solved (or opportunities). You solved other problems over the last 70+ years. Prepare. Have a buddy who watches out for you. 10. BASIC EXERCISE. This is the most important. Have a basic exercise plan, even if it is only walking around the block every day. Walk, lift weights, stretch. You know you are going to die, but until then, you might as well feel as good as possible and exercise will help. If you see a physical therapist, ask him/her for a list of basic exercises and keep at it. These are 10 things that you should know how to do, and do. Forget that you are old. Learn!